If you peruse our site a bit, one of the first things you are bound to notice is that we make sure you know that choosing Go2 Contracting means you’ll always get a better roof — guaranteed! We are a Colorado Top Rated Local® Roofing Company for good reason(s). Our service area is expansive, our commitment to quality installations and customer experience is unmatched, without forgetting the fact that our experience and passion are tough to beat. We are roofers in Colorado Springs that love what we do, and that helps make us so good at it! Put simply, if you are in the market for roof repair or replacement in Colorado Springs or beyond, we are roofers who will get the job done for an affordable price within a reasonable timeframe. Now that we’ve gotten that meta-statement, out of the way, we can discuss the particulars. As this is the first blog post that we’ve written in some time now, we thought it would be a good idea to remind our prospective customers about what our bread and butter services are. We offer roofing services, of course, but we are not your average Colorado Springs roofer, as evidenced by the fact that we offer storm and hail damage services, roof inspection services, siding services, gutter repair and replacement, and several other elements that make us a local roofing company worth your time. 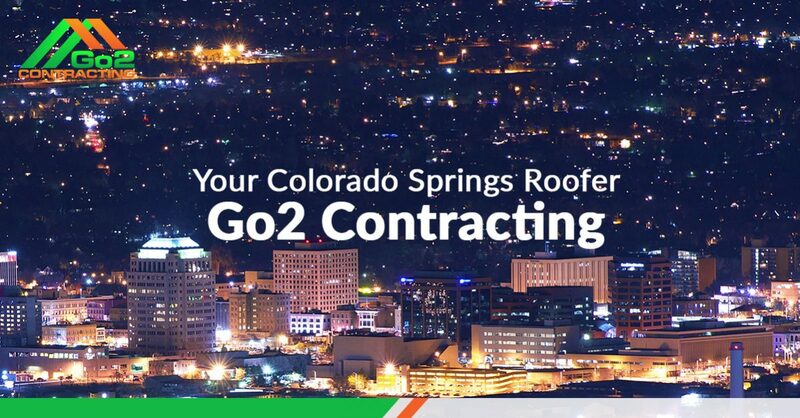 Below, we’ll highlight our individual services offered here at Go2 Contracting, before shedding some light on our expansive service area, which extends well past El Paso County! Keep reading if you are interested in learning more about a local roofing company that believes in doing right by our customers — it’s how we turn first-time customers into long-term clients! Whether you are searching on your favorite search engine for a new roof, a roof installation, or a roof replacement, we’ve got you covered with quality roofing services to residential and commercial customers throughout Colorado Springs. We consider the unique elements of your home, from how it was specifically constructed to its aesthetic quality to the value we can provide in lifting its ultimate worth. Whether you are interested in a metal roof, wood shakes, a roof with tile materials, or your more standard asphalt roof, we’ve got you covered. What’s more, we love to work with our customers to turn their vision into a reality. We understand that this is your home (or place of business), and as such you’ll want to love the way your new roof looks. We have the industry experience to help guide the decision-making process, making sure you understand the pros and cons of each kind of roofing material. We love working with folks to bring their vision to life — and the end result is something we can all get excited about! There are times when it’s simply not necessary to get a full-on roof replacement. Perhaps you are experiencing leaks, or only certain regions of your roof are breaking down. Roof repair clearly saves on cost when compared with alternatives, but that doesn’t mean it’s always going to be cheap and straightforward. That’s where we come in — blending quality with value. You want to make sure that your Colorado Springs roofing company of choice uses high-quality materials without charging you an arm and a leg to use them. We do that and more at Go2 Contracting LLC. We realize that when you have an issue with your roof, you’ll need it fixed ASAP. That’s why we’ve created the 48-Hour Pledge. Give us 48 hours after you’ve called and notified us of your roof repair issue, and we’ll at your home or place of business to diagnose and solve the problem — either temporarily or permanently, when possible. 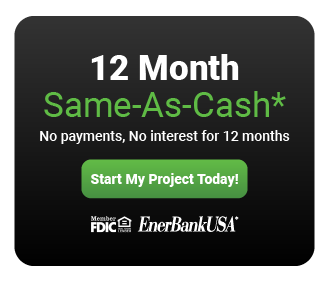 If you have leaks or cold air is getting in, this a great solution, and indicative of the kind of roofing contractors you work with when selecting Go2 Contracting. Commercial roofing is our backbone, and we get more commercial roofing projects than most other roofing companies in our area because we see the bigger picture for each project. Example: A business cannot suffer too many interruptions, a business cannot hit the pause button while waiting for their roofing job to be complete. We go the extra mile to do everything in our power to make sure that each job is seamless and that business can continue as usual while we provide a world-class, long-lasting roof. Make sure you give us a call and ask about this program to get the most bang for your buck after completing your commercial roof installation! Sometimes a home’s exterior siding can get the short end of the stick in terms of attention paid to it by its owner. If your priorities include reducing your maintenance costs, boosting your home’s curb appeal, and conserving energy, you should put siding maintenance and repair at the top of your home renovation to-do list. At Go2 Contracting, we offer siding that includes a range of materials and styles — from vinyl siding to wood siding to cedar shakes to durable aluminum siding. Each has their own appeal and limitations, which means we’d be happy to talk through the benefits and potential drawbacks of what you might have in mind. Though we are an established Colorado Springs roofer, one of our bread-and-butter services as to do with hail damage and helping our customers repair their homes and places of business after a storm. Summer is, somehow, approaching its end already, but that doesn’t mean we are necessarily home-free from severe weather that includes wind and hail. We offer professional and affordable hail damage repair services to homeowners and business up and down the Front Range. If your shingles have gotten torn up or have completely blown away, we can help. If you need assistance filing an insurance claim, we can help with that too! Just click on the link provided above to view our Storm Damage Services Booklet, a resource designed to help guide our customers through the claim-filing process. Once you understand the paperwork, it’s not so daunting — trust us, we make it simple! We service Arapahoe County, El Paso County, Douglas County, and many places in between. As far south as Fountain, as far east as Calhan, as far west as Deckers and Lake George, up into Castle Rock, and even Parker, we don’t have a problem driving a few hours to get you the new roof you need. If you are interested in getting a free quote from us, we’d love to hear from you! Contact Go2 Contacting today.